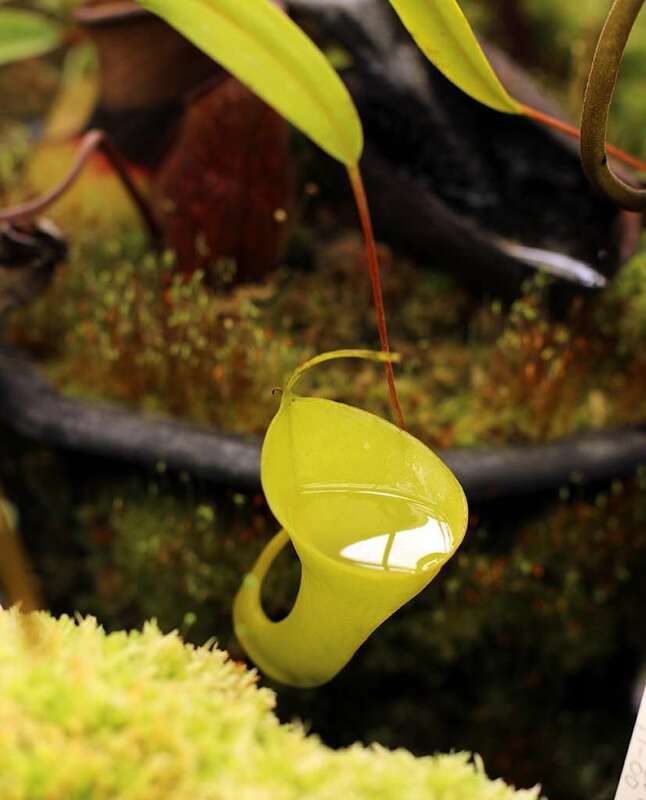 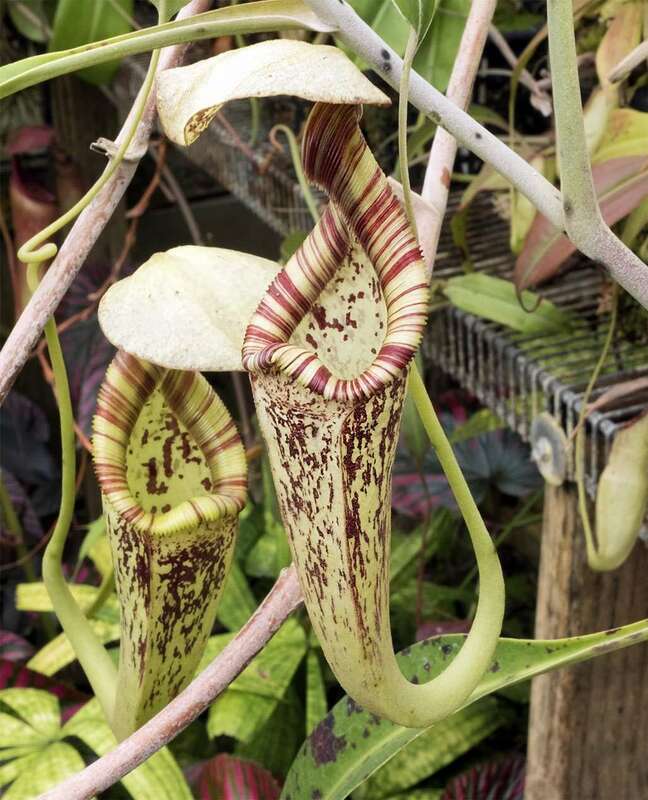 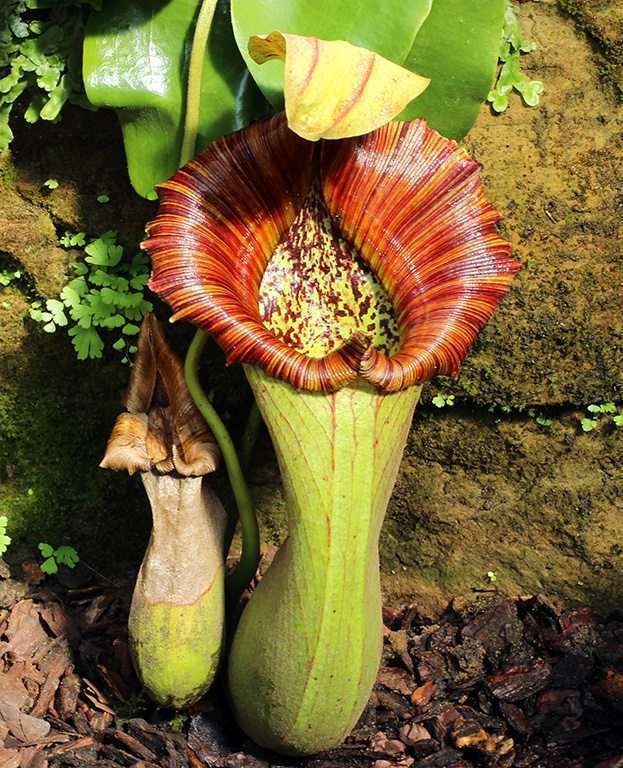 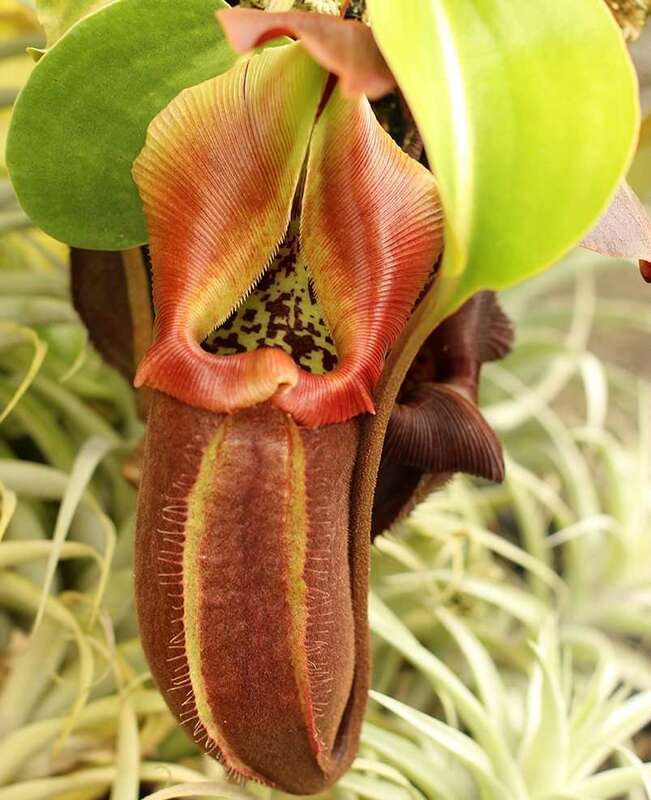 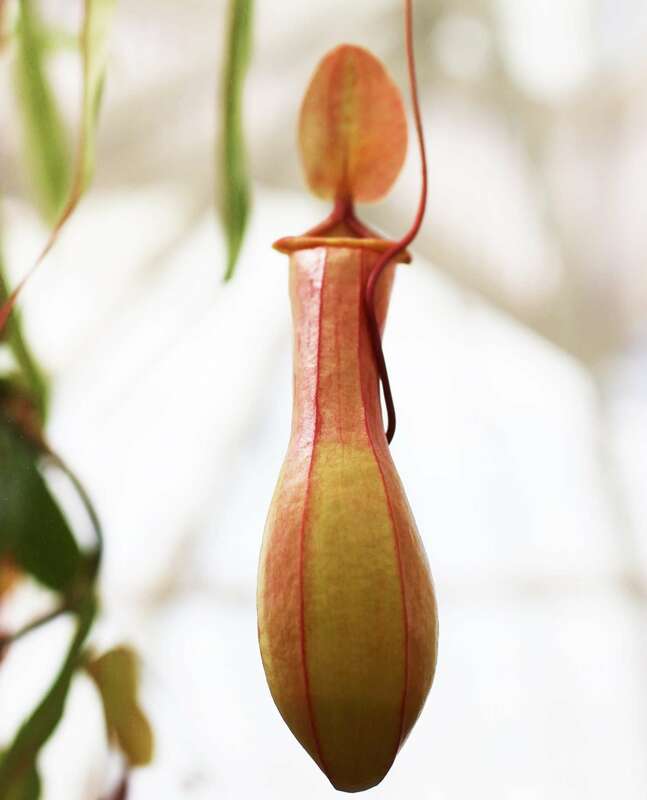 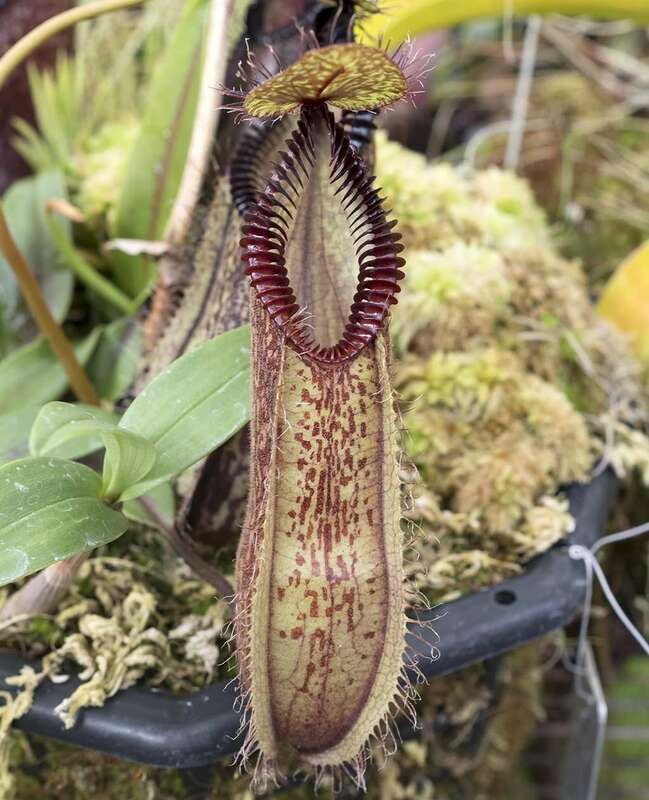 Nepenthes ramispina‘s name is derived from the Latin word ramus, meaning branch, and spina, meaning spine or spur, calling attention to the branched spur on the backside of where the lid and peristome meet. 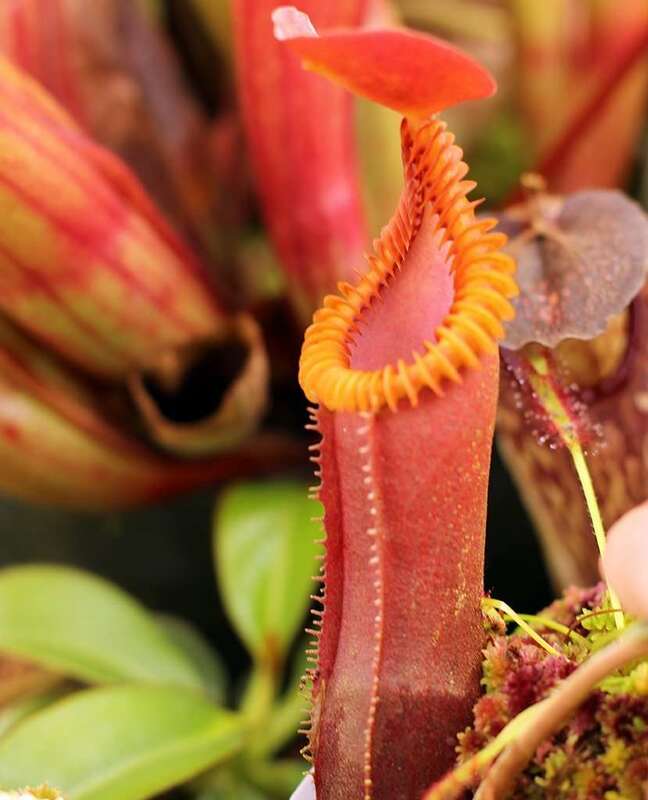 Kind of like cowboy spurs, but less pokey. 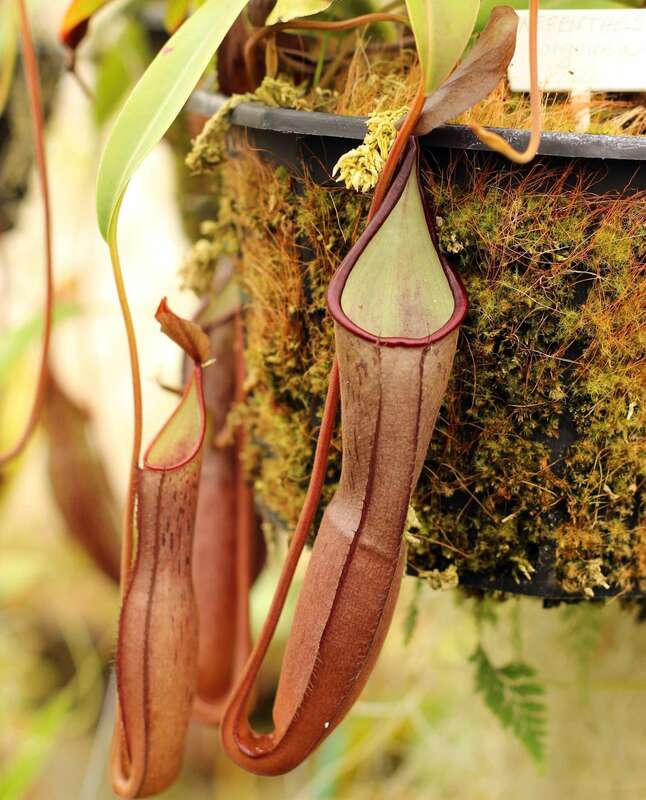 Our “branch spine” is a highland tropical pitcher plant, growing at altitudes between 2,950 – 6,560 ft (900-2000 m). 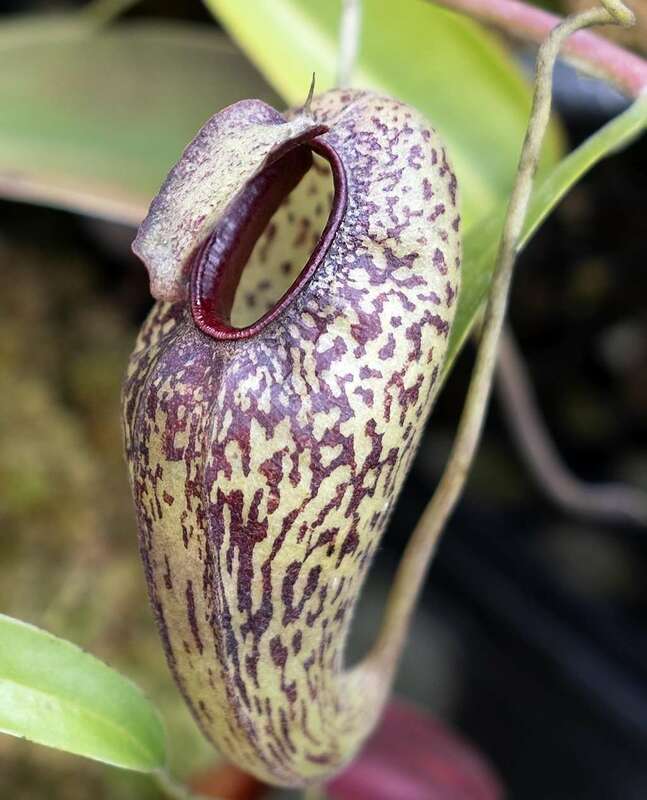 It is endemic to Peninsular Malaysia, and calls the western Titiwanga Mountains of Negeri Sembilan, Perak, Selangor, Pahang, and Kelantan home. 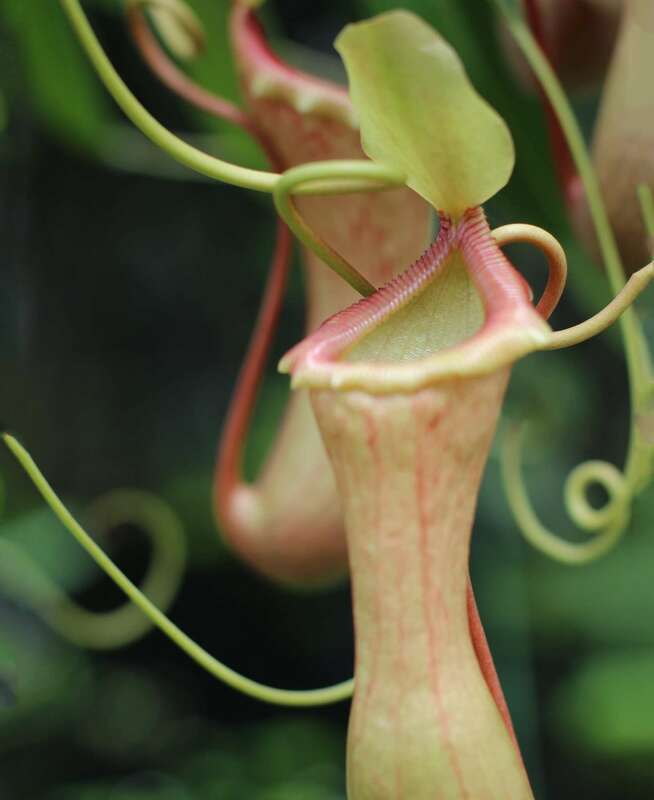 The plant mostly grows terrestrially, but will occasionally climb a tree as an epiphyte. 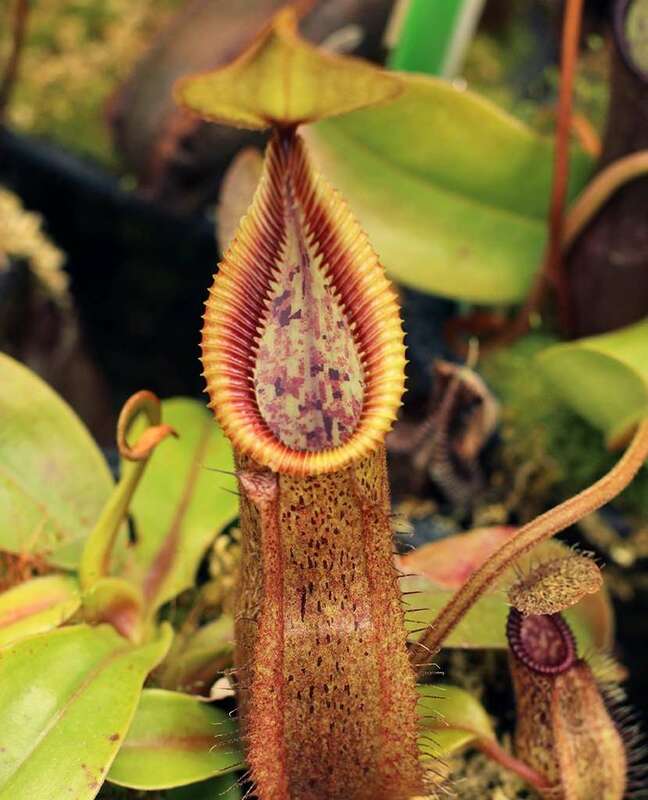 Nepenthes rampispina can be easily confused with N. gracillima, but deeper studies show that the two species are unique and distinguishable, particularly when you observe lower pitcher differences. 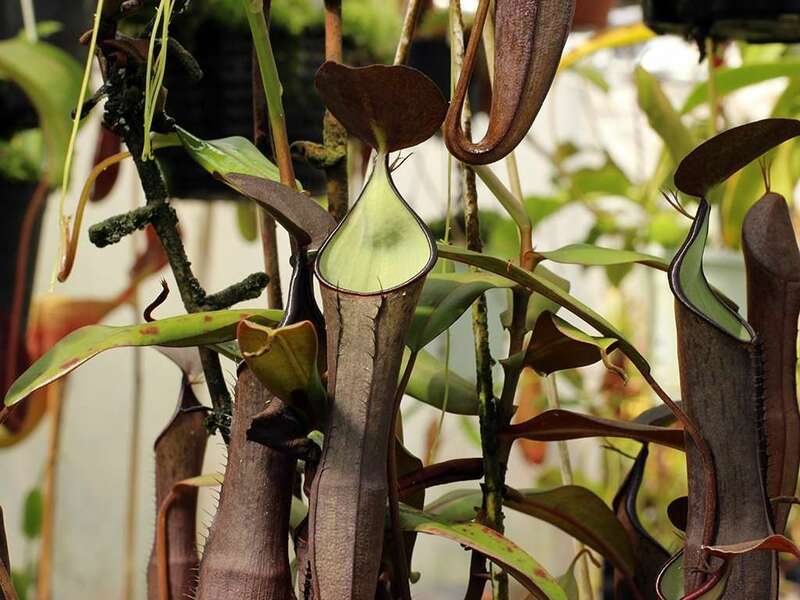 The plant was formally described by Henry Nicholas Ridley in the 1909 Journal of the Federated Malay States Museum. 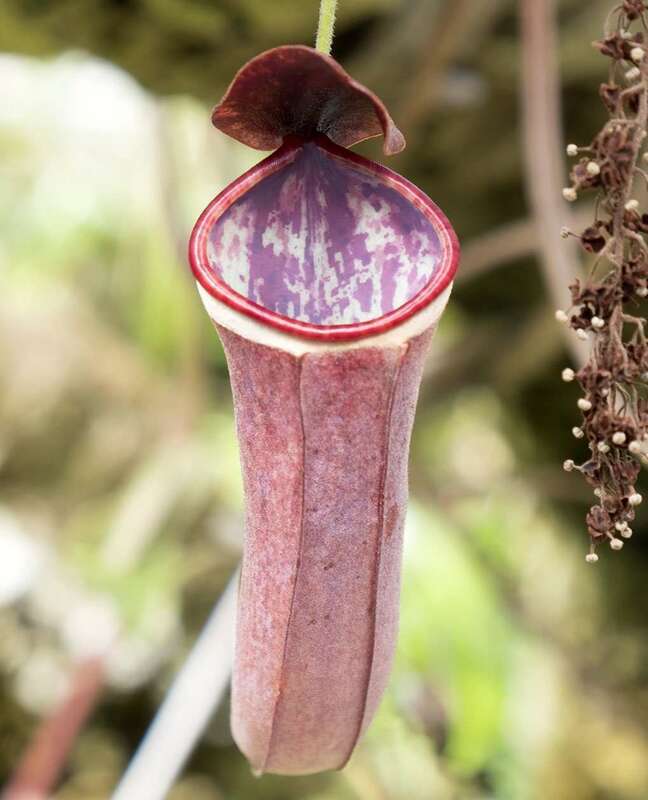 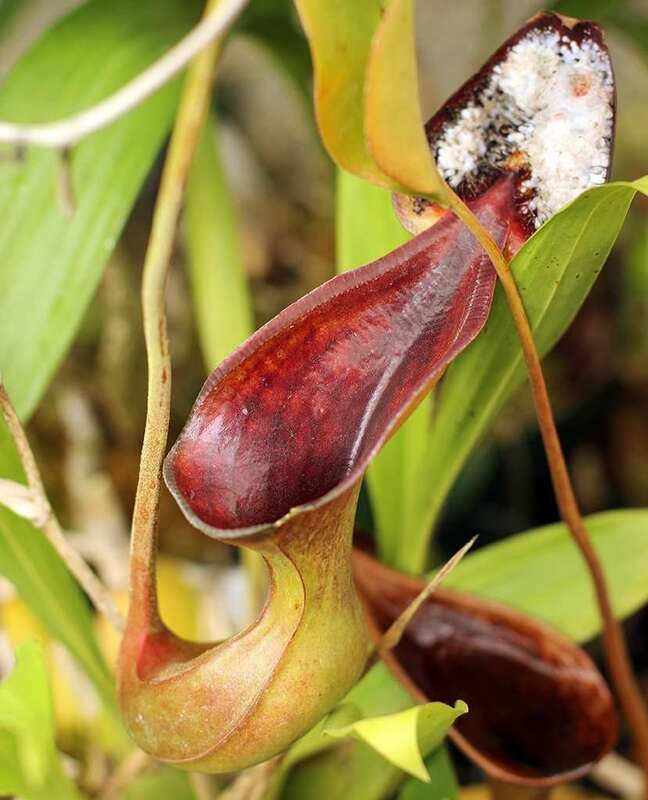 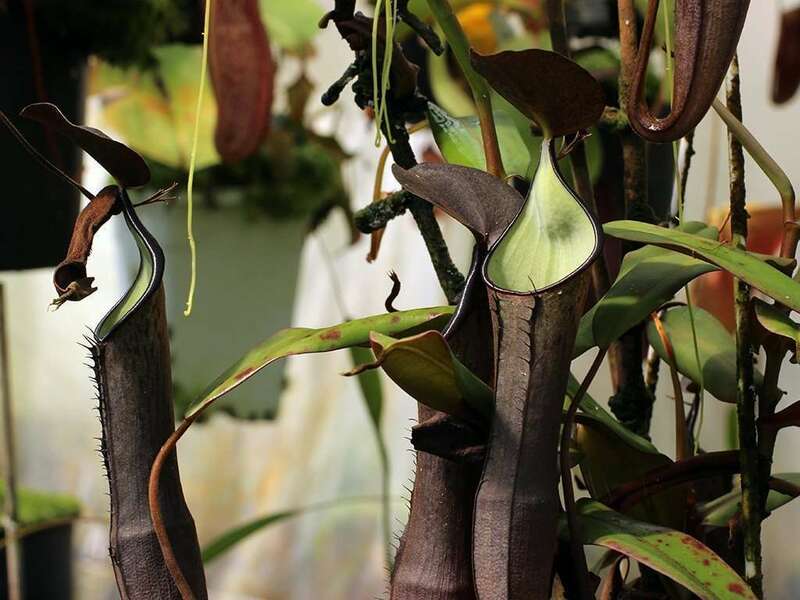 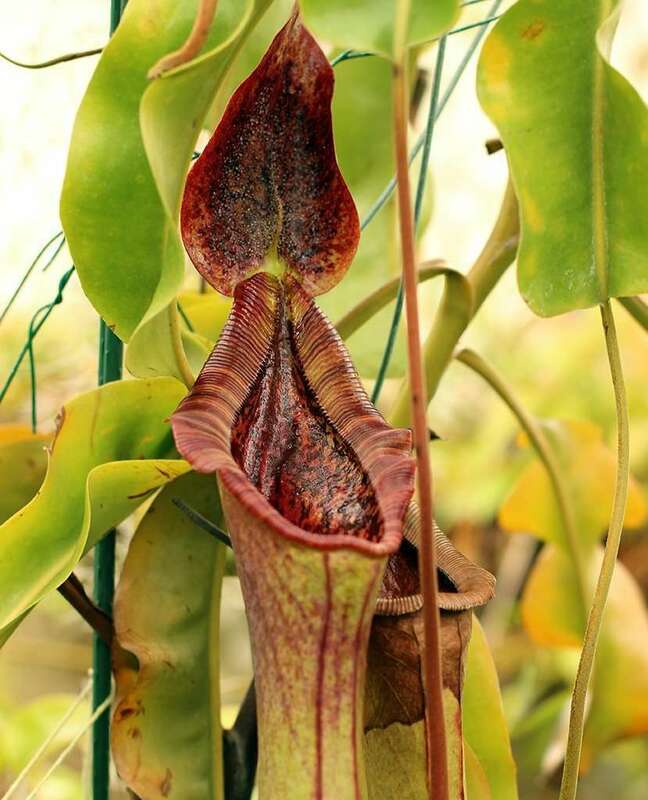 Nepenthes ramispina pitcher are brown-to-black on their exterior with an even darker peristome and creamy green pitcher interior. 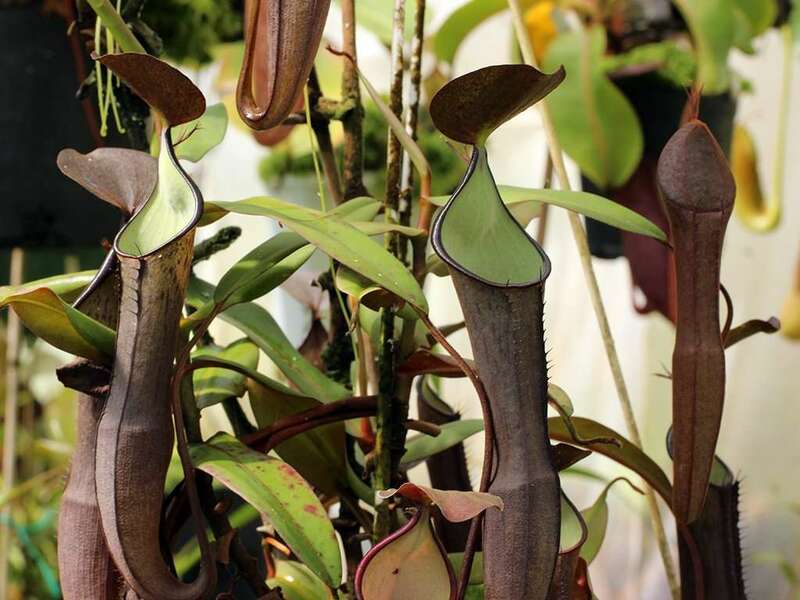 Lower pitchers are abou 8.5 inches tall (22 cm) and lightly winged. 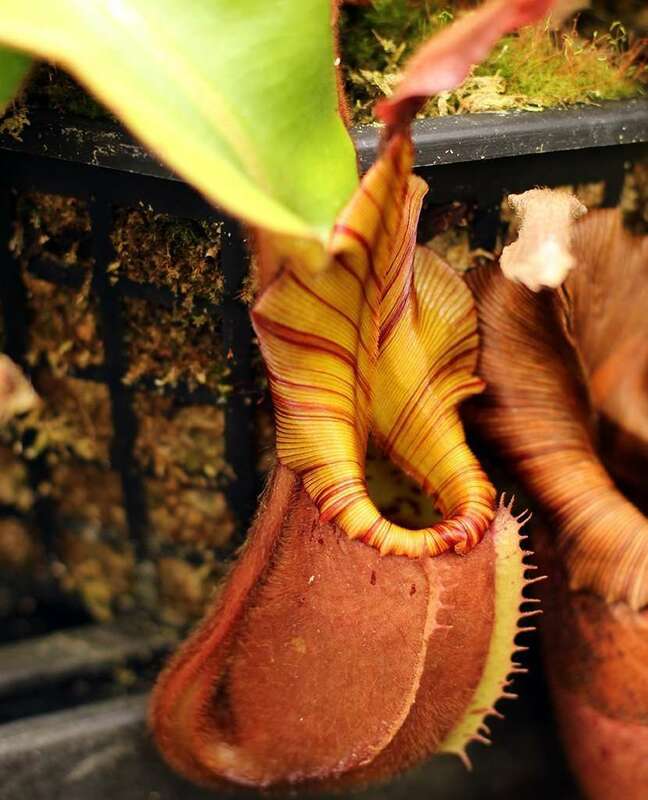 The spur on the backside of where the lid meets the peristome can branch up to 10 times. 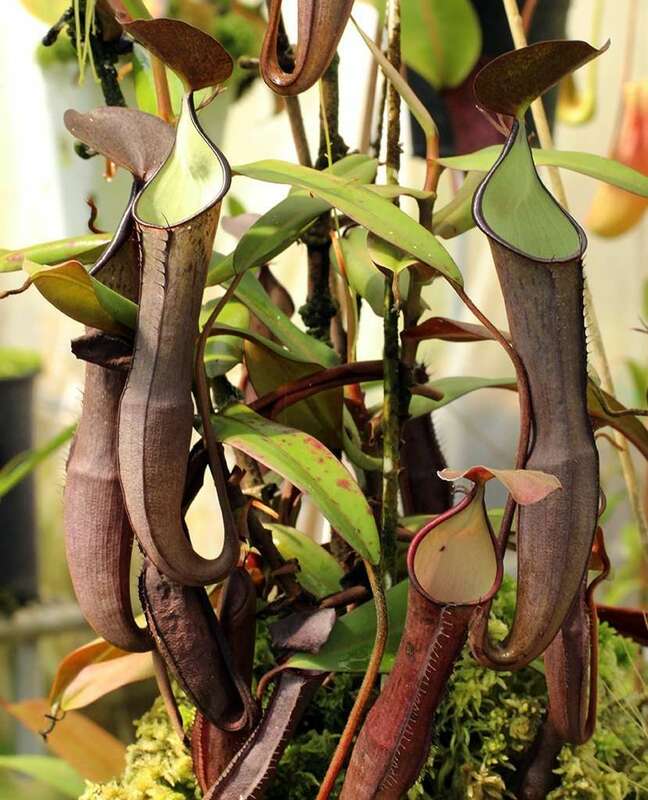 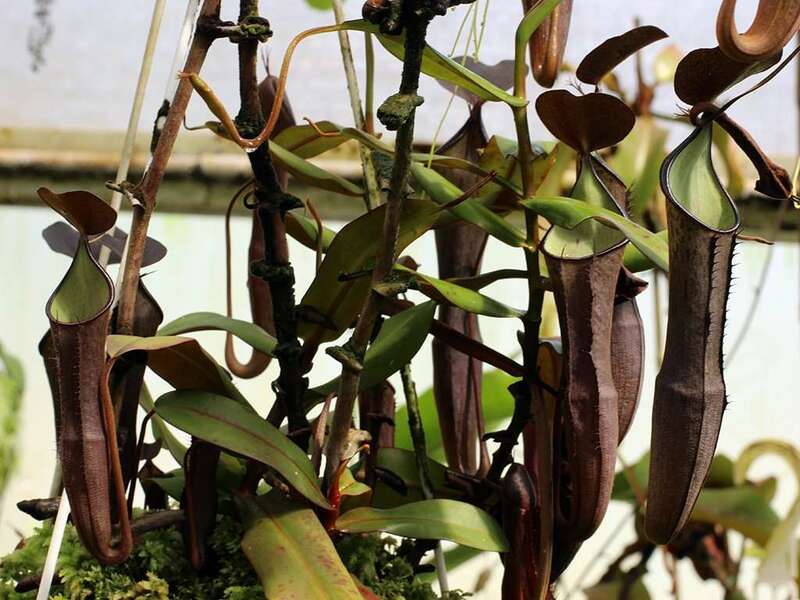 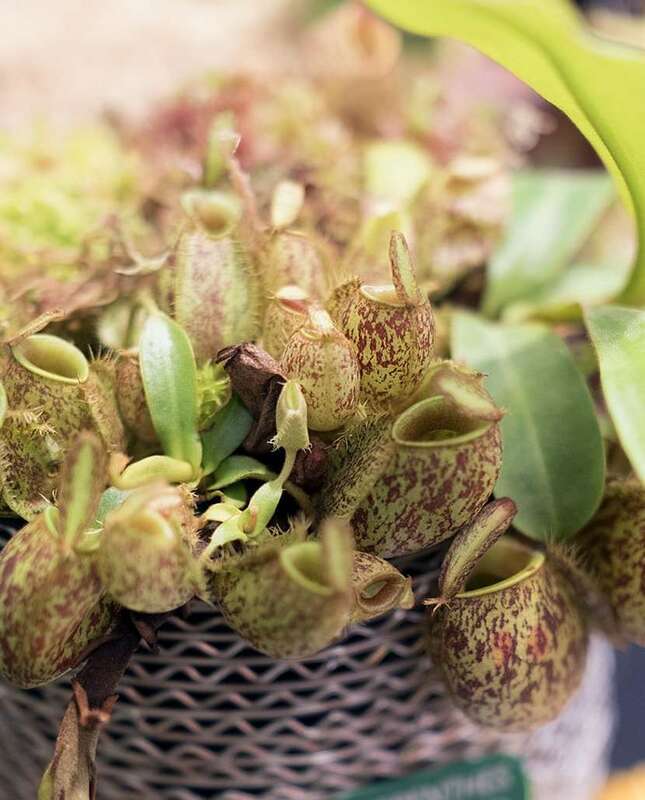 Upper pitchers are a little shorter at around 20 cm, and tend to lighten up to a gray or olive green color. 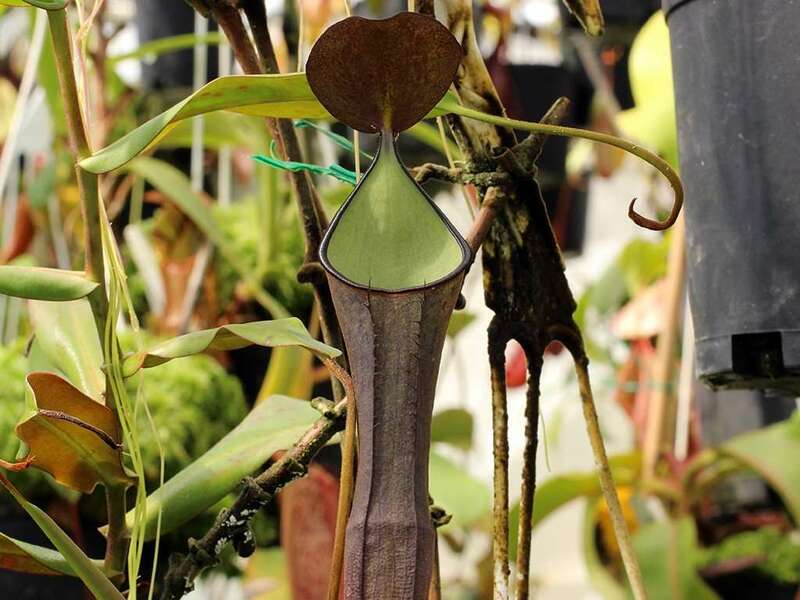 The peristome also tends to lighten to a lime green coloration while pitcher interiors stay relatively unchanged. 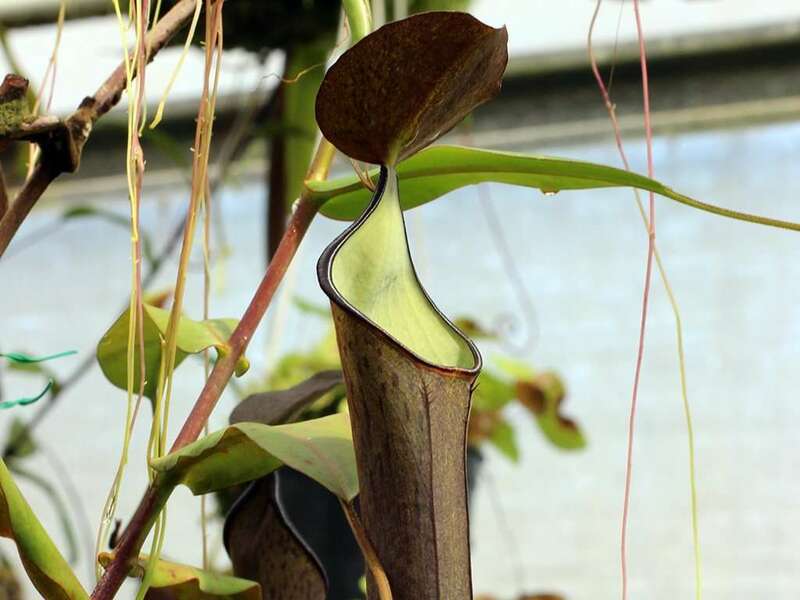 Upper pitcher lose their wings in favor of ribbing. 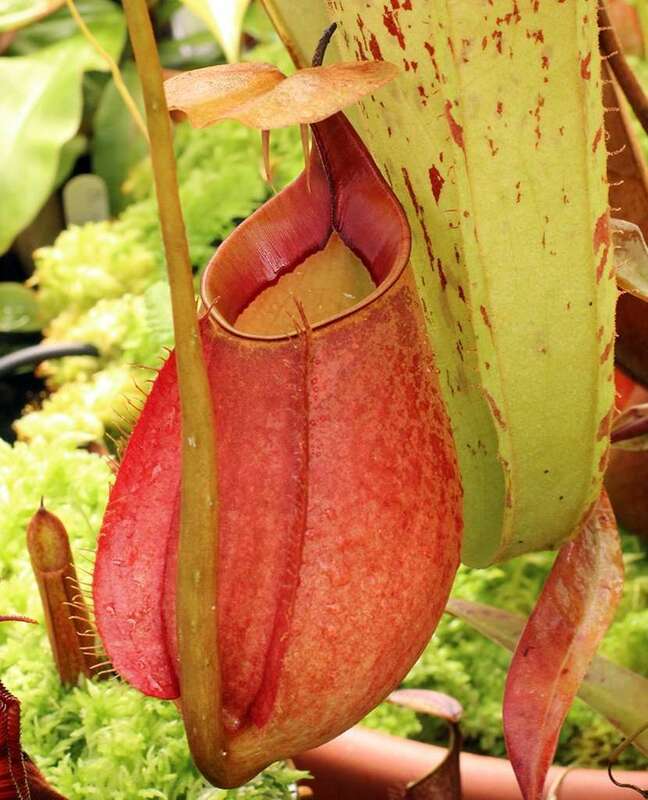 Nepenthes ramispina is a hardy plant and gets bushy from basal growths. 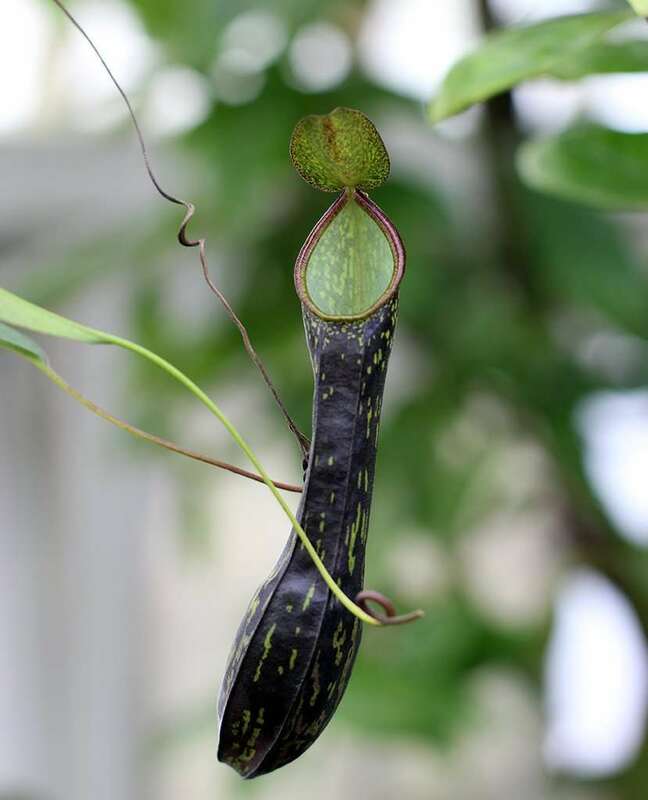 They do vine and will form branched, climbing stems (as an epiphyte growing on trees for support) up to 16.5 feet (5 m) long. 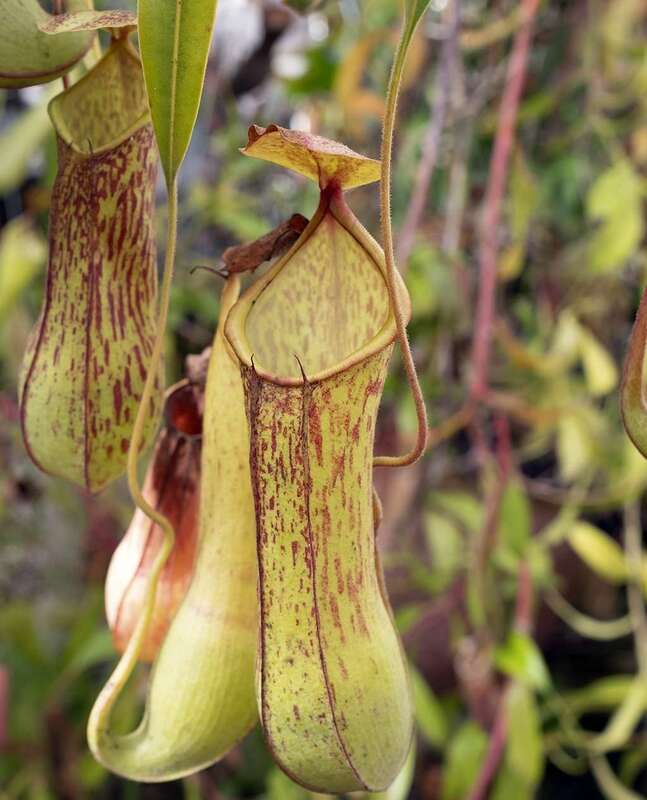 The plants grow well in intermediate and highland greenhouses.